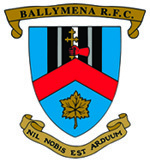 We are delighted to report that a number of Ballymena’s younger players have been selected for representative teams. Congratulations to Josh Drain who has been selected for the NCU Under 14 squad which will travel to Taunton from 23rd to 28th July to take part in the West Cricket Festival at King’s College, Taunton. Josh has been batting and bowling consistently well this season and his selection is well-deserved. Full details here. No fewer than 3 players have been selected in the 13-man NCU Under 17 squad which leaves on tour to Ipswich and St Albans from Monday 26th to Thursday 29th June. Jonny Browne, John Glass and James McClean will all travel to England where they will play against St Joseph’s School, Ipswich and in the prestigious St Alban’s Cricket Festival. This represents another great opportunity to compete at a high level against some very strong sides. Full details here. Finally, further congratulations to James McClean who was selected to play for an Ulster Schools XI against MCC at Campbell College on 21st June. It has been agreed by the BRFC Board of Governors that the Cricket Section would take the lead in erecting a memorial to commemorate the life of John Caldwell. The memorial will be in the form of a clock, to be erected on the outside of the clubhouse, and accompanied by a suitably inscribed plaque. Further details, together with information on how to contribute, can be found here. Congratulations to Jonathan Browne, John Glass and James McClean for their continued selection for the NCU u17 development squad. Their involvement in the squad will undoubtedly help their on-going development and of course help to contribute to the future success of the club. Full details here.